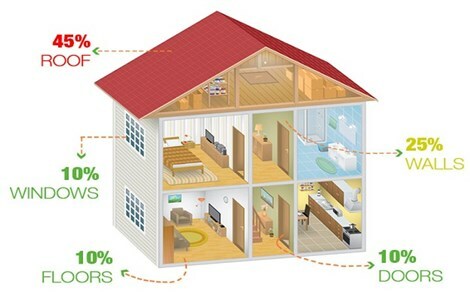 Did you know that the average home creates, on average, 6 gallons of water vapor PER DAY? If that water stays in your home, it can lead to moisture build up and pose mold threats inside your attic and living spaces. This process makes the choice of UNDERLAYMENT below your shingles critically important when replacing your roof. In addition to providing a layer of water protection for the house envelope, the underlayment MUST be permeable to allow any moisture to escape from inside your house. Cenco Building Services uses only top of the line synthetic underlayment to protect your home and your family. Come see our crews in action as we install an Owens Corning Duration Storm shingle with synthetic underlayment at a home in Boulder, CO. If you have questions or concerns about your roof, please contact Cenco today at (720)-583-1690 to schedule a FREE inspection with honest feedback.